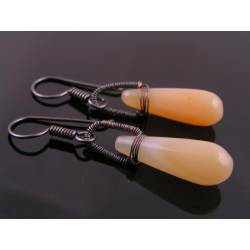 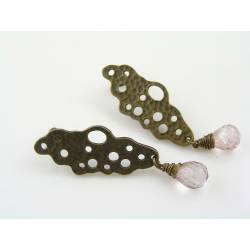 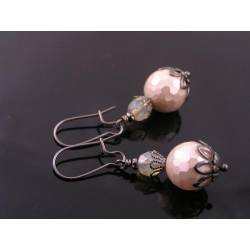 Elegant long and slender chalcedony drops dangle from hand made, wire wrapped ear wires. 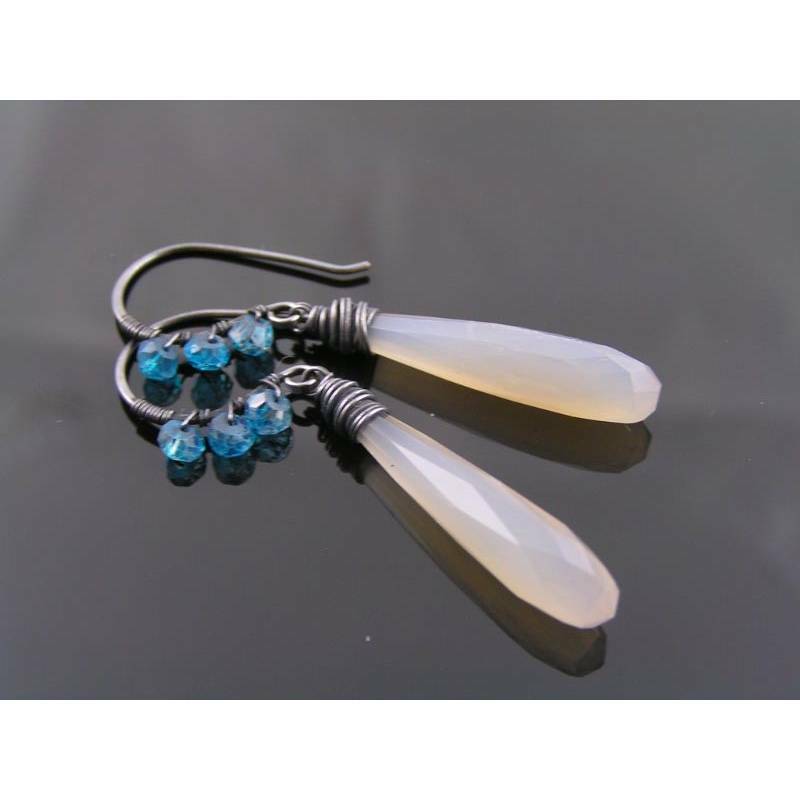 The unusual long and slender chalcedony drops are faceted and have a pale blue/grey natural colour. 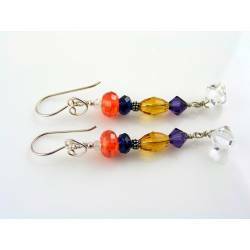 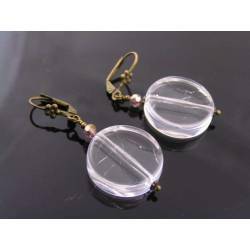 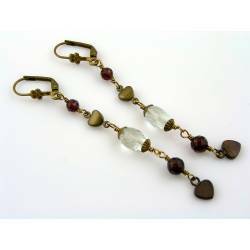 They are wire wrapped to hand made ear wires. 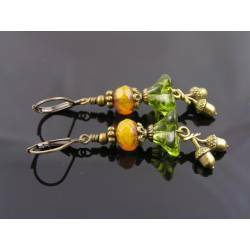 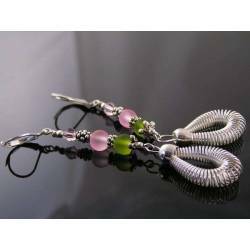 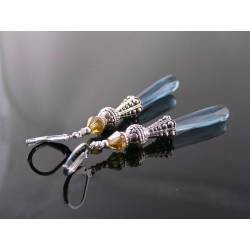 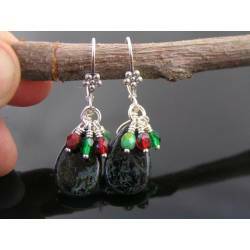 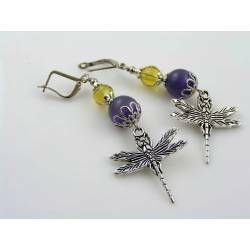 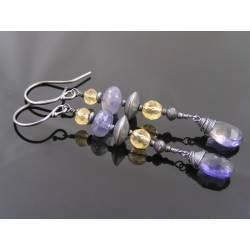 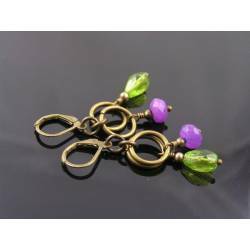 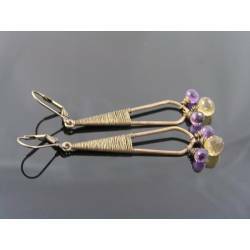 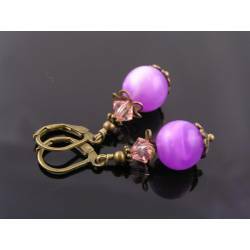 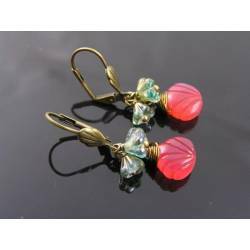 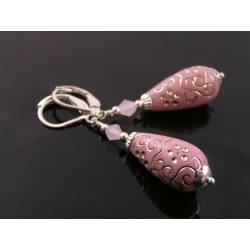 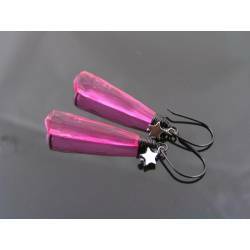 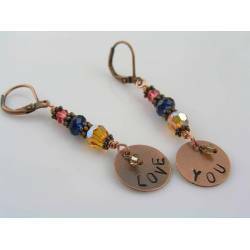 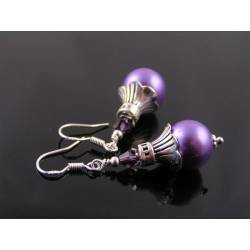 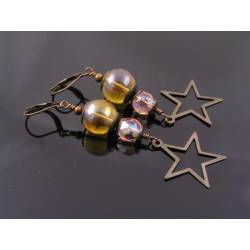 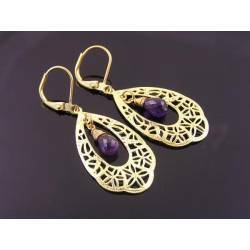 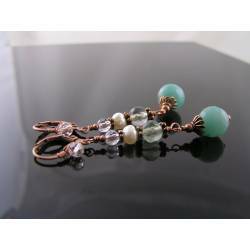 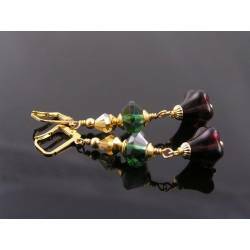 The hook type ear wires are also wire wrapped with three mystic topaz rondelles. 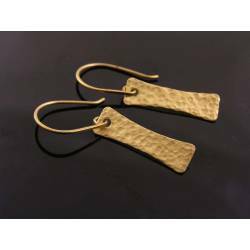 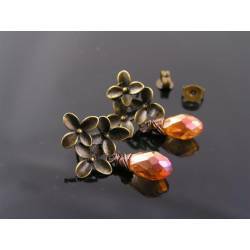 All metal is solid copper which I oxidised, polished and finally sealed to preserve the finish.